HUGO BOSS celebrated its Columbus Circle store expansion at the Time Warner Center in NYC with a black tie fete. The newly expanded store includes 3 floors, officially making it the biggest HUGO BOSS store in America. 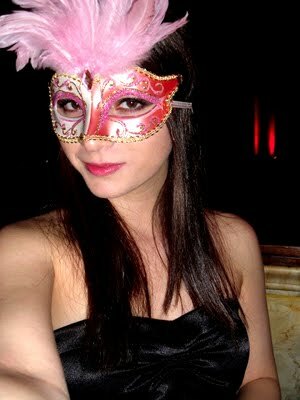 The invite only guest list included A-list celebrities like Liam Hemsworth, Josh Duhamel and Woody Allen. The event featured a special premiere of an extraordinary video installation by renowned artist Marco Brambilla and a live orchestra with musicians from Julliard. HUGO BOSS collaborated with the Art Production Fund to feature Marco Brambilla’s work in celebration of their store expansion and to benefit the Central Park Conservancy. Be part of the art with #HBNYC. For more information, go to www.hugoboss.com. I wore a Georgie & Elaine ‘The Mattson’ silk chiffon dress which I paired with a black skirt to match the classic BOSS colors of black and white. When choosing a dress for an event I love matching pieces to the color scheme of the venue or location. Georgie & Elaine is one of my favorite new contemporary brands. Their unique styles are tied with an authentic representation of old American luxury and modern romance. Consisting of smart separates, flirty mini dresses, and classic basics, the inspiration behind the brand stems from the founder’s grandparent’s (George and Elaine) love story. Robyn Herman, one of my best friends came with me that evening. We’ve known each other for almost 7 years now and she’s literally one of my favorite people to hang out with. I was so happy to share this experience with her. Ms. Herman was certainly dressed to impress with her black pleated skirt, striped black and white shirt and fitted pink blazer. One of the first people I saw at the event were my friends Tobias Ulmer, CEO & founder of WERBEWELT a leading German marketing agency and Markus Aller Team Leader Of Online Media for HUGO BOSS in Germany. I spotted legendary Director Woody Allen who was chatting with his wife, Soon-Yi Previn. I’m a huge fan of his movies, especially Vicky Cristina Barcelona. It was such an honor to meet him in person! 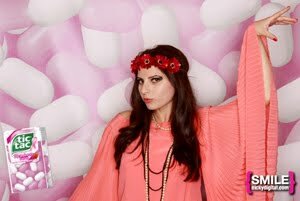 Miri is a Social Media Manger for HUGO BOSS and fashion blogger for her own blog, www.inbedwithfashion.com. She looked absolutely gorgeous in her Marc Jacobs dress. Blair Waldorf from Gossip Girl once wore the same exact dress on the show! Miri paired the dress with Christian Louboutin pumps and a Celine bag. After a beautiful reception on the first level of the HUGO BOSS store guests were asked to make their way up to the third floor to watch Marco Brambilla’s video installation. On my way up to the installation I passed DJ Kiss spinning her favorite tracks. 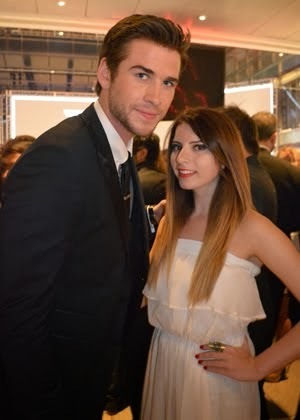 One of the most amazing moments was meeting Liam Hemsworth who was there with a few of his friends. Liam was standing next to me to watch Marco Brambilla’s video installation. I remember doing a double take and thinking that I must be dreaming. I don’t usually get very star struck but I couldn’t help it when I met him. He was so incredibly handsome in person! Just when I thought my night couldn’t get any better I realized that Josh Duhamel was standing on the other side of me. Joking, I told my friend Robyn to pinch me because we were literally standing between a mega celebrity sandwich. Both Liam and Josh looked so dashing in their HUGO BOSS suits! *Swoon*! Still standing in between Liam and Josh I watched as Marco Brambilla’s installation began on three large suspended screens. Tited “Anthropocene”, the Central Park themed video was nothing like I’ve ever seen before. It took you through a journey of color depicting a surrogate view of the geography within and between Central Park and Columbus Circle. Anthropocene consisted of two intersecting cinematic chapters that Brambilla created after meticulously exploring the park's design with the Central Park Conservancy. Thank you so much to the HUGO BOSS team for inviting me to be a part of this experience. Check out the full video of Marco Brambilla’s installation below as well as more snaps from the HUGO BOSS party!